Are you really in charge of your craft business? Are you sure? 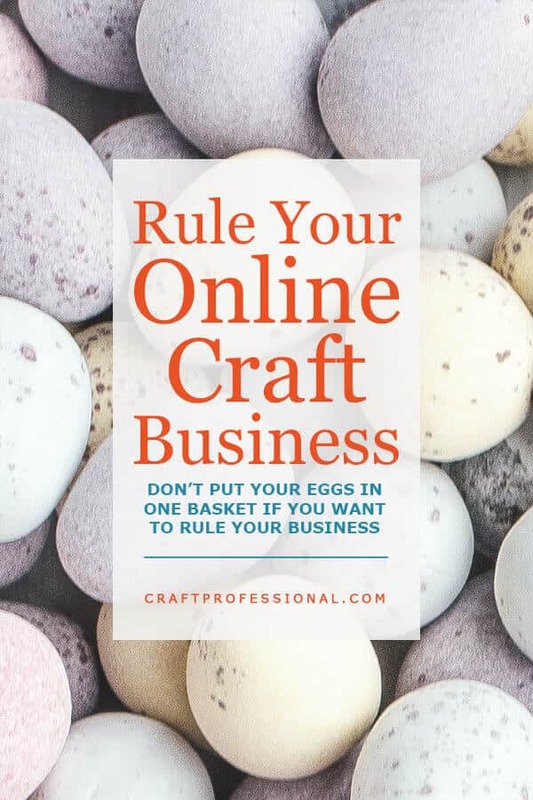 If you invest the time to build a craft business online, you'll want to be fully in control of it. If you apply the boldness and determination needed to build a business, that business should be your own, and not totally dependent on someone else's whim. Your success shouldn't rest too heavily on the impulses of another company outside of your control. Maybe you've never thought about the possibility of losing your business because of another company's decision. Unfortunately, over the years, I've seen it happen to several solopreneurs. I don't mean to be alarming here, but I do want you to think about the possible consequences of building an online business that you don't control. If your income relies heavily on another company, you may have less control than you realize. One change made by a third party can devastate your business overnight if you have all of your eggs in one basket. If the success of your business hinges too much on terms and conditions that are controlled by an outside company, you need to be wary. you run the risk of losing a large percentage of your business income every time that company makes a change in their policies. "Third party" in general refers to a person or business that is separate from the primary person or business. So, from my point of view, CraftProfessional.com would be the primary business, and any other company I might deal with (Amazon, Etsy, Google, etc.) is a third party. From the point of view of the owners of a site like Etsy, all of the sellers on Etsy are third parties. From your perspective, a third party website is any website that is owned and controlled by someone other than yourself. For example, assuming you're not Mark Zuckerberg, Facebook is a third party site. A site where products are bought and sold. The products are provided by a large variety of third party sellers. The payments are processed by the online marketplace. Amazon, Etsy, and eBay are all examples of online marketplaces. If you had a craft business online prior to 2011, you might have been hit hard by the massive changes Google made in 2011 and 2012. Google changed their algorithm, and questionable strategies that once worked to get your site to the top of search rankings, abruptly stopped working. Suddenly your site that once ranked well for important keywords might have dropped out of sight on Google. For some business owners, this loss was huge, and happened overnight. A lot of people who depended on Google to send them most of their customers were hit hard by those changes. If their businesses were able to continue, they vowed they would never again rely on a singe source of customers to their sites. If most of your customers come from people who follow your Facebook business page, you might feel the pinch whenever Facebook make changes, and business posts no longer reach as many people. In this case, business owners either lose sales or they need to pay to advertise to reach the same number of customers they could previously reach for free. I've also heard a story about a business owner whose Facebook business account was shut down, although he believed he hadn't done anything to violate Facebook's terms. He had a huge following on Facebook and relied solely on that platform to attract customers. He was eventually able to get his business account reopened, but it must have been a harrowing time. If all of your customers come from Facebook, or any other single social media platform, and you suddenly lose your account, your business will be in serious trouble. If, a few years ago, you had built a thriving business selling digital products on eBay, your business would have been devastated the day eBay changed its policies and no longer allowed the sale of digital products on its site. Certainly there are other options for selling digital products, but if you had put all of your effort into building your reputation and business solely on eBay, you would have been required to change your product, or start from scratch building a customer base somewhere else. Whose Business Are Your Building? Here's another concern you need to keep in mind when you rely heavily on third party sites. 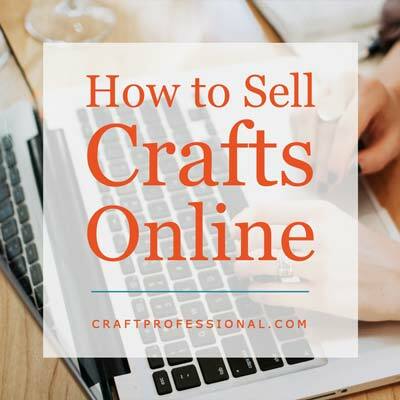 No matter where you sell your crafts, you'll need to promote your shop. If you're promoting a shop hosted on someone else's platform, you're putting a lot of effort into building someone else's business. If you invest a lot of time promoting your storefront on a third party site, ultimately, you are promoting someone else's business, not your own. If, at some point, that third party site no longer meets your needs, and you decide to move to another sales venue, a lot of your promotional efforts may be lost because you had been sending potential customers to a site that was not your own. Rather than building your own customer base, if you're not careful, you can be building the customer base for someone else's business. If you are not able to build an email list of customers who purchase from you on your third party site, you are building equity in someone else's business, not your own. That third party site will certainly be collecting email addresses, so they can keep in contact with customers, but those contacts benefit the third party site in general, and not your business specifically. If you spend a lot of time creating unique content for third party sites (videos, photos, descriptions, clever posts on social sites, etc. ), you are building someone else's business, not your own. 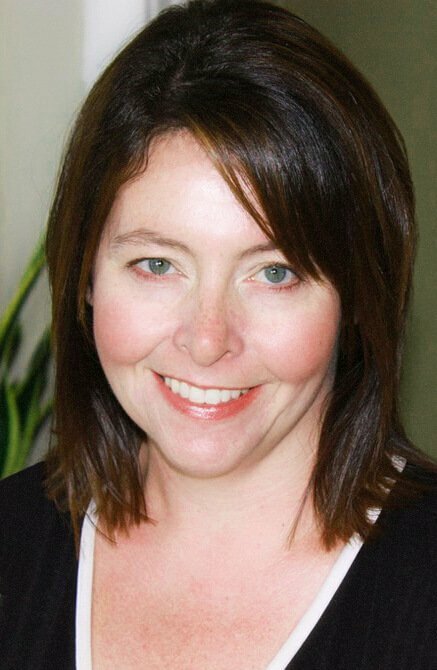 What's a Craft Professional to Do? There are definitely advantages to working with these third party sites. I'm not suggesting you abandon them entirely. I rely on several for my own business. Online marketplaces make it easy for non-technical people to set up shop quickly, and they come with their own built-in customer base. The search and social sites are a valuable source of online customers, and they can't be completely ignored. However, if you depend solely on a single third party business for a large portion of your income, you leave huge elements of your business completely out of your control. All it would take is one change to that site, which you cannot influence, to have a devastating impact on your craft business. Let me be perfectly clear. I'm not suggesting you completely ignore Google, or Facebook, or Pinterest, or Etsy, or Instagram, or any other third party site that can help you grow your business. I use all of them to different degrees. You'll need some of them to grow your craft business online. When used well, these sites are powerful tools that can bring you plenty of customers. I am saying that ultimately, you want those sites to be a part of a mix that supports your business. As much as possible, it's wise to avoid relying on a single third party to drive your business. It's also smart to ensure you spend the majority of your time building equity in your own business, not someone else's. Aim to attract customers from a variety of sources. The more you can generate traffic and customers from a variety or sources - Google, Facebook, Twitter, Pinterest, Etsy, Amazon, Instagram - the less dependent you will be on a single source. That means, changes to a single source of customers won't have the same power to hurt your online business. This point may sound like it's a contradiction of the previous point, but it's really just a clarification. Getting traffic from all of those sources does take effort, and they won't all be worth your time. Take some time to explore and see what works for your business. Diversify, yes, but don't feel like you have to chase customers on every social site or every marketplace. Look at the return on investment to determine whether something is right for your business and worth your time. Personally, my site gets a lot of traffic from Google and Pinterest and, for the time being, I've decided to stay away from Twitter because I just can't do everything. It might work beautifully for you, but it's just not right for me at this time. Collecting email addresses from customers or potential customers and keeping in regular contact with them is probably the best way to build equity in your online craft business. You control your own newsletter in a way that you can't possibly control any other source of traffic to your site. 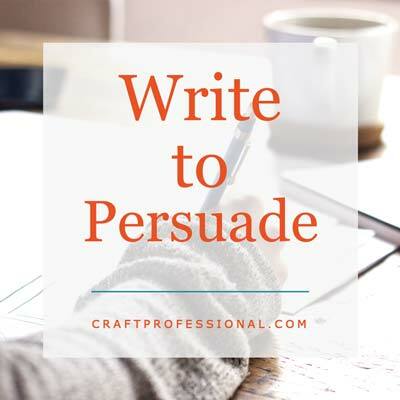 Of course, when people visit your craft business online, your most wanted response (what you most want them to do) is for them to purchase something, but getting them to sign up for your newsletter is a good secondary response. It's also wise to encourage your followers on your social sites to sign up for your newsletter. Tweet or make a Facebook post whenever a newsletter is going out and send a link to the signup page, or, create a series of enticing images to promote your newsletter on Pinterest. That way, you move people who have expressed an interest in your business from a venue you don't control (a third party site) to a venue you have a lot more control over (your own email list). I've purposely saved the biggest suggestion for the end. Building a site that gets traffic definitely takes time and knowledge, but, in my opinion, it's the best way to be in charge of your own online business. With the right support, and with some time and effort, it's absolutely achievable. I did it with good support, but no prior internet marketing knowledge. Your own site can form the hub around which all of your online business marketing centers. Promoting your business on Pinterest? Be sure the link on your pins sends people to your own site. You can sell your products on a marketplace like Etsy, but when you promote items, do it with a link to a product page on your own site. From your own site, you can give customers the option to click through to your Etsy shop to buy. You can sell products directly from your own site, too, but if you like the simplicity and built in trust Etsy offers, you can have that simplicity and trust, and still promote your own business. All of these suggestions really hinge on having your own corner of the web that you control. Controlling your online business depends on you building your own website. You can go out to a variety of places (search engines, social media, marketplaces) to promote your business, but if you want to control that business, and if you want to use your marketing efforts to build your own company (not someone else's), you need to have your own place online. I realize the idea of implementing some of these recommendations may feel daunting. If it was simple to build your own website instead of selling on a marketplace, or get customers to your site from a variety of sources, or build up an impressive email list, everyone would be running successful online businesses. My own solution is the online business building tool, Solo Build It!, which I've used since 2006. This resource has taught me everything I know about online business and given me the tools I need to do it. They have helped me build a newsletter that has thousands of subscribers, and a website that has hundreds of thousands of visitors from a variety of sources every year. If you're looking for in-depth help to move forward and take charge of your online craft business, Solo Build It! is the best resource I know of. 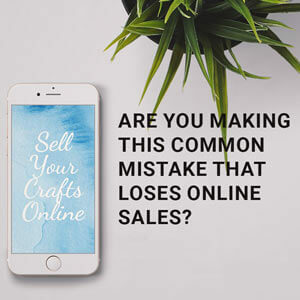 Avoid these common mistakes that hurt online craft sales.